However, problems with the bill -- specifically in Sections 401 and 402 of Title IV -- are apparent upon closer inspection and warrant serious consideration and revision by the Senate Commerce Committee. As currently written, H.R. 4986 should not be granted unanimous consent in the Senate and should not be included in the fiscal 2018 omnibus spending bill that Congress must pass by March 23 in order to fund the government. Congress should fix the bill’s shortcomings, or strip them out, and permit the other meritorious and uncontroversial provisions to become law. On the merits, reauthorizing the FCC should not be contentious. While reauthorization isn’t necessary (the FCC hasn’t been reauthorized in 28 years), it is a perfectly legitimate action for oversight committees. However, as Public Knowledge has previously said, agency reauthorizations are problematic when they become a vehicle for controversial policies or efforts to undermine an agency’s mission. Policy fights should be separated from the work of agency reauthorization. Unfortunately, Section 401 of Title IV of H.R. 4986 will likely diminish the FCC’s ability to address competition and consumer protection issues in the future. It also weakens congressional oversight of the FCC and agency conflicts of interest. These provisions were not even included in the high-level bullet points highlighted by the Senate Commerce and House Energy & Commerce leadership press release, and they should be stripped out of H.R. 4986 prior to consideration by the full Senate. Title IV consolidates multiple FCC reports into a single “Communications Marketplace Report” that looks at voice, cable, satellite, broadband, and mobile services. While it is undeniable that consumers now have a multitude of technologies to choose from for accessing communications and media, H.R. 4986’s move to consolidate the FCC’s technology-specific reports into a general marketplace report will likely hinder the agency’s ability to promote competition, encourage broadband deployment, and protect consumers. By substituting a one-stop-shop report covering the entire communications ecosystem in place of the current reporting regime that takes a detailed, focused look at competition among individual services, the FCC will ultimately receive less accurate, granular, and relevant data across all of the services included in the Communications Market Report. As a result, both policymakers and the public will have less detailed information to understand each individual market (and thus accurately compare and contrast intermodal competition), and what actions the FCC (or Congress) should take to ensure universal service, and to best serve the public interest. It is not in the interests of policymakers to have more generalized, less accurate, and less relevant data as they look at how to address critical issues such as how to deploy broadband to unserved and underserved areas, or allocate scarce spectrum resources to promote competition and spur innovative next-generation wireless networks. This would be the result if Title IV of H.R. 4986 becomes law. Over the past year, witnesses and members of Congress at numerous congressional hearings have demanded the FCC find a way to collect more detailed data regarding broadband deployment. As written, Title IV of the bill would have the likely perverse effect of leaving the FCC with less detailed input on a broad swath of competition, deployment, and other metrics across all communications technologies. Additionally, replacing the current reporting regime with a single Communications Market Report will give the FCC a green light to conflate complementary services with substitutable services, ultimately obfuscating whether or not competition exists, and undermining FCC oversight of cable, broadband, satellite, voice, and mobile services generally. On this point, the recent debate over the substitutability of mobile and fixed broadband in the FCC’s broadband deployment report is an illustrative example. Last year, as the FCC asked for data for the annual broadband deployment report (706 Report), the agency suggested it might determine that 10 megabits per second (Mbps) mobile broadband speed was a sufficient replacement for 25 Mbps fixed broadband speed -- regardless of the fact that mobile and fixed services differ substantially due to differences in price, variability of speed, data caps, support for tethering, and so on. In response, 12 senators wrote to insist that a 706 Report concluding that mobile broadband near low-income, rural, and tribal communities mitigated the need for fixed broadband deployment would permanently leave unserved and underserved communities on the wrong side of the digital divide. In January, the FCC correctly concluded that mobile service is not an adequate substitute for fixed broadband; however, adoption of Title IV of H.R. 4986 would signal to the FCC that it should reconsider its finding in the next report. 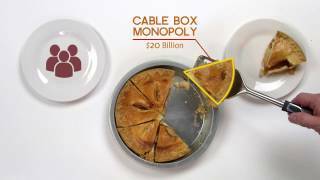 Additionally, although the FCC’s broadband deployment report found there is little to no consumer choice for broadband providers with speeds at 100 Mbps or above, the consolidated Communications Marketplace Report could skew the analysis of the marketplace to conclude there is sufficient deployment and competition everywhere. Instead of detailed inquiries into the competitive conditions in various markets, the Communications Marketplace Report stands to become a mere exercise in nose counting where markets with low-grade DSL service, mobile coverage near the highway (sometimes), and satellite broadband are deemed sufficiently served with a surplus of competitive options for consumers. Congress can and should fix this. The FCC should eliminate out-of-date silos and consider intermodal competition, but it shouldn’t fail to recognize the real differences between the various technologies that are available to consumers. Congress can address this problem by eliminating Section 401’s consolidation of FCC reports, and instead direct the FCC to use the data collected in the course of compiling its current reports, as well as data the FCC collects through its merger review process, to produce the biannual Communications Marketplace Report. This balanced approach would allow the FCC to assess intermodal competition - likely with more comprehensive and detailed data, would not add any new reporting burdens on stakeholders, and would not compromise the utility of the existing reports the agency produces. In addition to the problematic reporting consolidation issues, H.R. 4986 would also have the perverse byproduct of eliminating a layer of congressional oversight over financial conflicts of interest at the FCC. Currently, 47 U.S.C. § 154(b) specifies that no FCC Commissioner or person employed by the agency can have financial interests in the companies the agency oversees. The FCC can waive this financial conflict of interest prohibition if it determines the financial interests are minimal; however, when exercising its waiver authority, the Commission must publish notice in the Federal Register and send notice to the appropriate congressional oversight committees. For reasons unknown, Section 402(j)(1) of H.R. 4986 eliminates the requirement the FCC provide notice to Congress, creating the likelihood that overworked congressional staff never actually see the notice that these waivers have been granted. 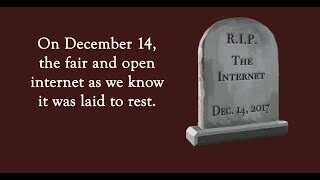 Instead of removing key financial conflict of interest oversight of the FCC, the Senate should remove Section 402(j)(1) of H.R. 4986, and instead ask who benefits from less congressional oversight of FCC financial conflict of interest waivers (it isn’t the public), and why there is such a rush to agree to less oversight.